A newly identified species of feathered dinosaur is the largest ever discovered to have a well-preserved set of bird-like wings, research suggests. Palaeontologists working in China unearthed the fossil remains of the winged dinosaur – a close cousin of Velociraptor, which was made famous by the Jurassic Park films. Researchers say its wings – which are very short compared with other dinosaurs in the same family – consisted of multiple layers of large feathers. They found that the species’ feathers were complex structures made up of fine branches stemming from a central shaft. Although larger feathered dinosaurs have been identified before, none have possessed such complex wings made up of quill pen-like feathers, the team says. Scientists have known for some time that many species of dinosaur had feathers, but most of these were covered with simple filaments that looked more like hair than modern bird feathers. This latest discovery suggests that winged dinosaurs with larger and more complex feathers were more diverse than previously thought. 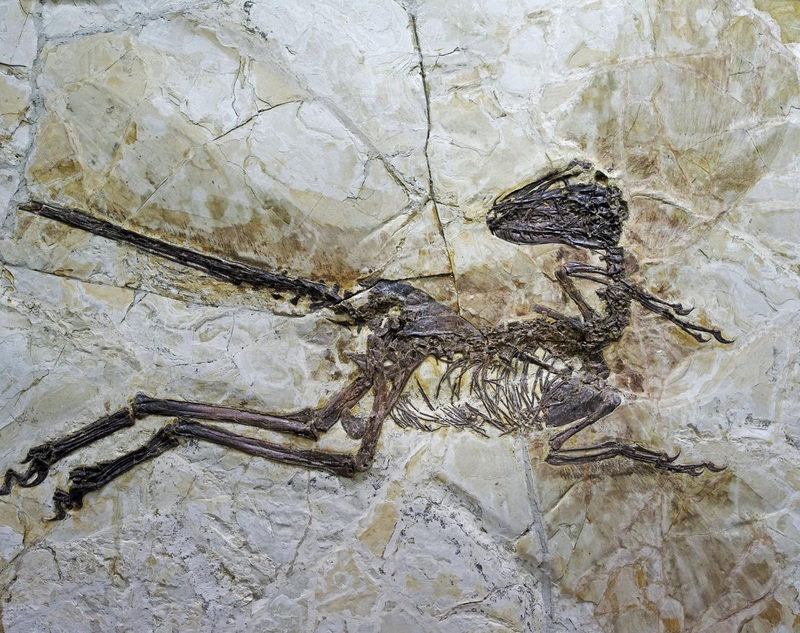 The species belonged to a family of feathered carnivores that was widespread during the Cretaceous Period, and lived around 125 million years ago, the team says. The near-complete skeleton of the animal – which is remarkably well preserved – was studied by scientists from the University of Edinburgh and the Chinese Academy of Geological Sciences. The fossil reveals dense feathers covered the dinosaur’s wings and tail. The newly discovered species – named Zhenyuanlong suni – grew to more than five feet in length. Despite having bird-like wings, it probably could not fly, at least not using the same type of powerful muscle-driven flight as modern birds, researchers say. It is unclear what function the short wings served. The species may have evolved from ancestors that could fly and used its wings solely for display purposes, in a similar way to how peacocks use their colourful tails, researchers say. The study is published in the journal Scientific Reports. The research was supported by Natural Science Foundation of China, the European Commission, and the US National Science Foundation.